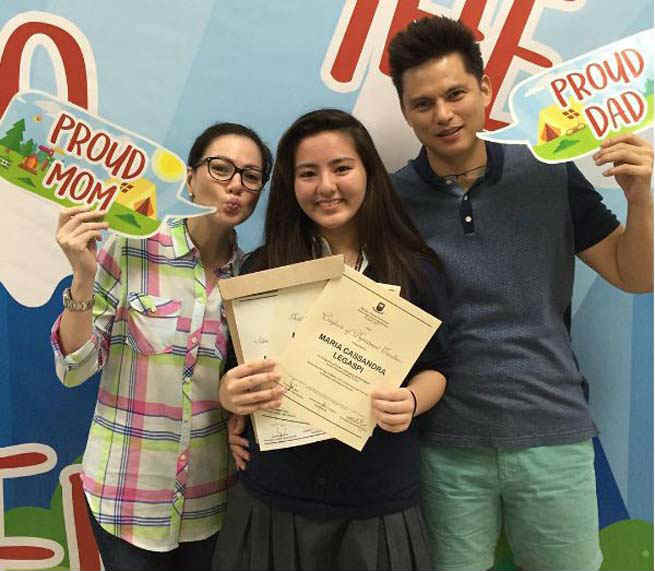 Proud mom Carmina Villarroel goes to Instagram to share her joy at attending her daughter’s recognition ceremony, where her daughter, Cassy Legaspi, was awarded with gold, silver and deportment awards. Attending the ceremony with her was her proud husband and Cassy’s father, actor Zoren Legaspi. With big smiles on their faces, the parents posed with their brilliant daughter during the ceremony.